After touring the Great Barrier Reef yesterday, Jeff and I booked a tour to see upper parts of the northwest coast of Queensland. Our all-day microbus from Port Douglas took us first to a crocodile farm on the Daintree River. 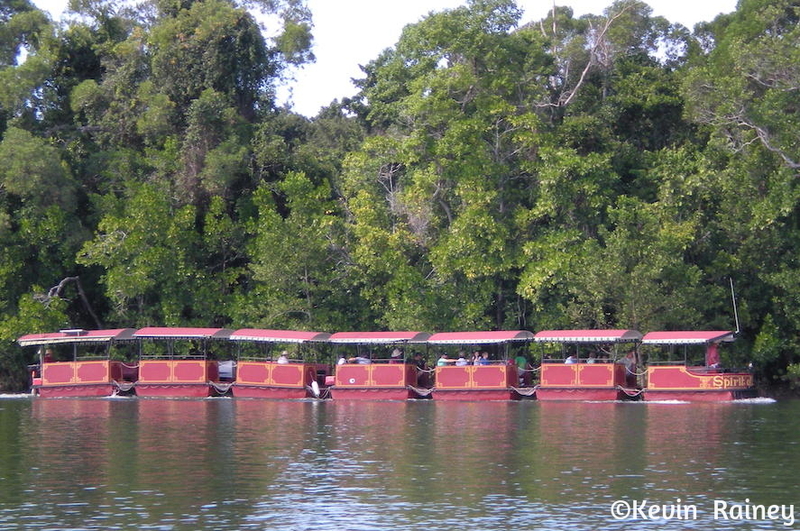 We rode on small boats up the Daintree River and saw families of huge crocs feeding on the riverbanks. Then we had some ice cream at the Daintree Ice Cream Company. The homemade tropical fruit ice cream is made with fruit from their own orchid. Our guide showed us several plants that were delicious, but one that was carnivorous – like a Venus flytap! Along the road, we had great views of the Queensland coast. The coastal views were fantastic reminding of us of the Pacific coast of Big Sur in California. 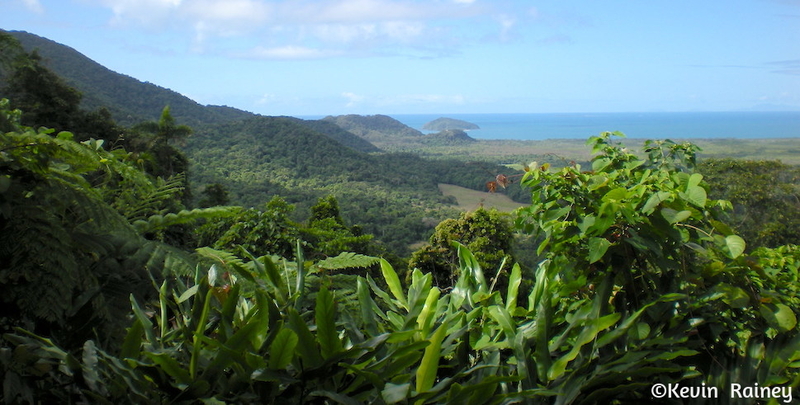 Not long afterwards we arrived in the Daintree National Park, the world’s oldest rainforest. We went on a guided walk and enjoyed a rare sight. We heard some Aussie yelling: cassowary! 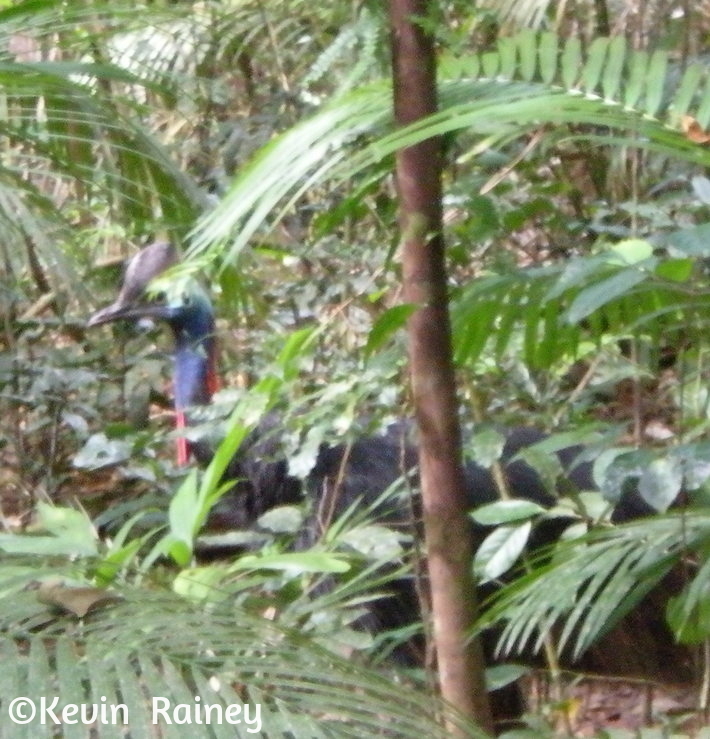 We saw a large cassowary in the woods and people were going crazy with their cameras. The bird is the second-largest bird in the world and an extremely rare sight because there are only 1,200 left. Our last stop was the beautiful Cape Tribulation Beach. We walked out to the beach and saw thousands of tiny crabs scurrying out of small holes on the sand as the water receded. It was an amazing sight. In fact, we didn’t even realize they were crabs at first! 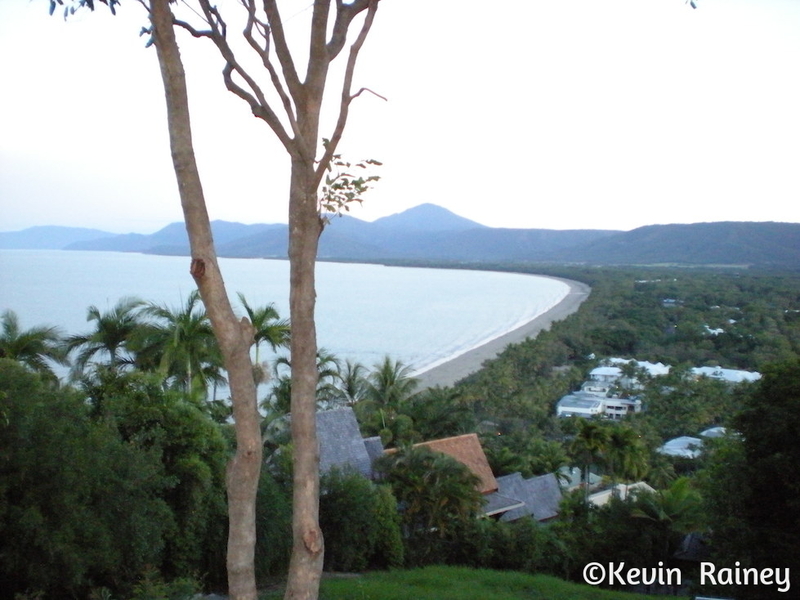 After our trip north, our driver dropped us off back in Port Douglas. Jeff and I walked up a steep hill to a scenic overlook above the town. 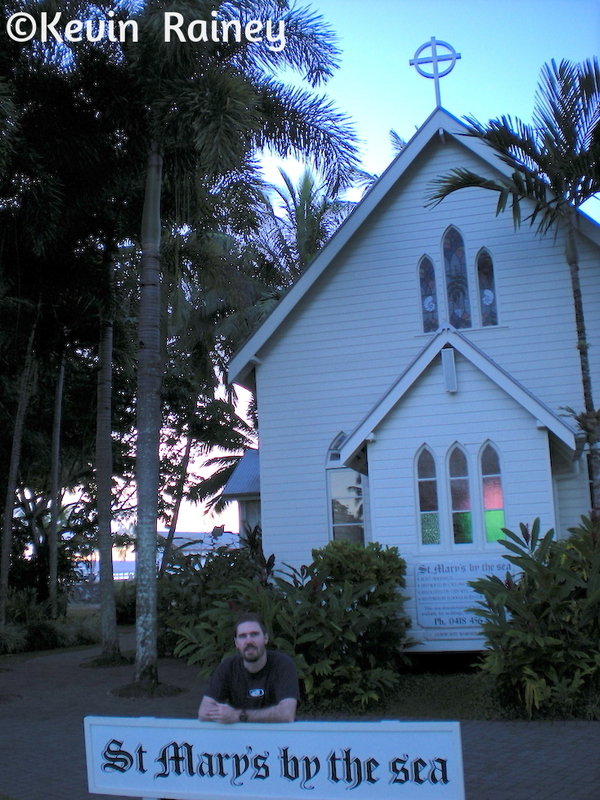 We also took a look at the beautiful St. Mary’s by the Sea Catholic Church in Cairns. Later, Jeff and I went to eat at a restaurant/bar called Rattle N Hum.